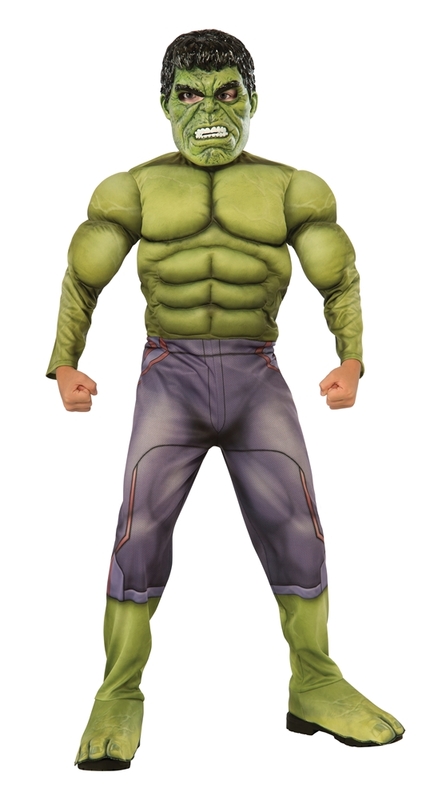 This Avengers 2: Age of Ultron Deluxe Hulk Child Costume includes a muscle chest jumpsuit with attached shoe covers, and a plastic mask, perfect for Halloween, comic book conventions, playtime, and superhero themed parties and events. Hand wash with cold water. Do not bleach. Dry flat. Do not iron.